With SummerSlam 2018 on the horizon, AJ Styles’ WWE Championship reign has hit 281 days – the 14th longest tenure in the history of the company’s most famous title. Why is this number significant? Well, it means he has leapfrogged JBL, John Cena and Yokozuna’s 280-day reigns with the championship, which puts him just 12 days behind The Ultimate Warrior and 15 days behind Superstar Billy Graham on the all-time list. Styles’ title reign, which began when he defeated Jinder Mahal in November 2017, has been exclusive to the SmackDown Live brand, which means “The Phenomenal One” is now officially the longest-reigning WWE champion in the show’s history, surpassing JBL’s long-standing record. 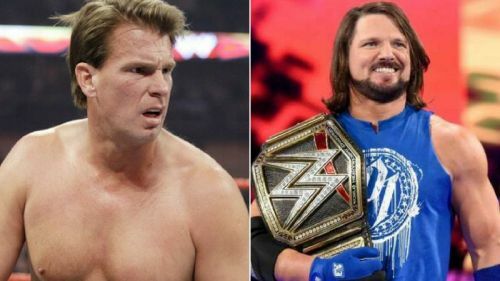 If the two-time WWE champion can keep hold of his title beyond SummerSlam, where he will face Samoa Joe, he will almost certainly reach 12th position on the all-time list, but does he really stand a chance of reaching the top 10? And can he realistically break CM Punk’s modern-era record of 434 consecutive days as champ? In this article, let’s take a look at the longest WWE Championship reigns in history. Information correct as of 15 August 2018. The start of the reign: In November 2017, the WWE Championship changed hands outside of North America for the first time (officially, at least – more on that later) when AJ Styles defeated Jinder Mahal on an episode of SmackDown Live in Manchester, England. The end of the reign: Who knows?! Styles has defeated anyone and everyone that WWE has thrown at him over the last nine months. If he can survive his latest challenger, Samoa Joe, then the most likely candidates to take the title from him appear to be Daniel Bryan or Randy Orton. The start of the reign: In one of the most famous WrestleMania matches in WWE history, Intercontinental champion The Ultimate Warrior defeated Hulk Hogan to win the WWE Championship in the main event of WrestleMania VI in April 1990. The end of the reign: After successfully defending his title against Superstars including Rick Rude, Haku and Ted DiBiase, Warrior’s 293-day reign as WWE champion came to an end in January 1991 when he was defeated by Sgt Slaughter.